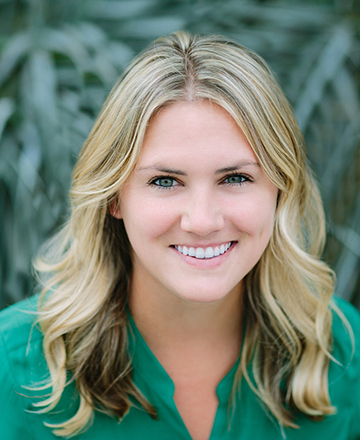 Samantha Freeberg was born and raised in San Diego and worked throughout her high school years in residential real estate marketing, while also competing as a four-year varsity and club gymnast for Torrey Pines High School. Samantha graduated from University of Colorado at Boulder with a Bachelor of Arts in Communication and Humanities. She was a leader within the CU Kappa Kappa Gamma sorority in educational philanthropy serving the Boulder elementary school system, and completed a study abroad program in Australia during her time as a student. Ms. Freeburg has a wealth of media experience, including work for San Francisco-based SPIN Magazine, 7x7 Magazine, and Hartle Media, where she served as assistant to the CEO and managed the companies, offices, and planning and execution of large promotional events. She also oversaw the coordinating of local sponsors and co-branding efforts for monthly and quarterly events. Ms. Freeburg later developed her career in Chicago, where she worked as assistant to the owner of a residential real estate firm who was highly involved with development within the city’s downtown. There, she oversaw all aspects of marketing of new developments and projects, as well as company sales, and listing marketing and branding. Samantha also worked with a large media firm as the liaison between its sales team, editorial research department, and account managers. Ms. Freeburg returned to San Diego and managed a coastal residential real estate firm, working specifically with its design team on branding efforts, print ads, online ads, and marketing collateral, as well as overseeing the construction and opening of two additional office locations. As a member of the third generation in her family to be involved in real estate, with roots back to commercial development in Los Angeles County in the 1950s, Samantha’s attention to detail, and her strength in systems and procedures ensures each project and client is given the highest level of service.